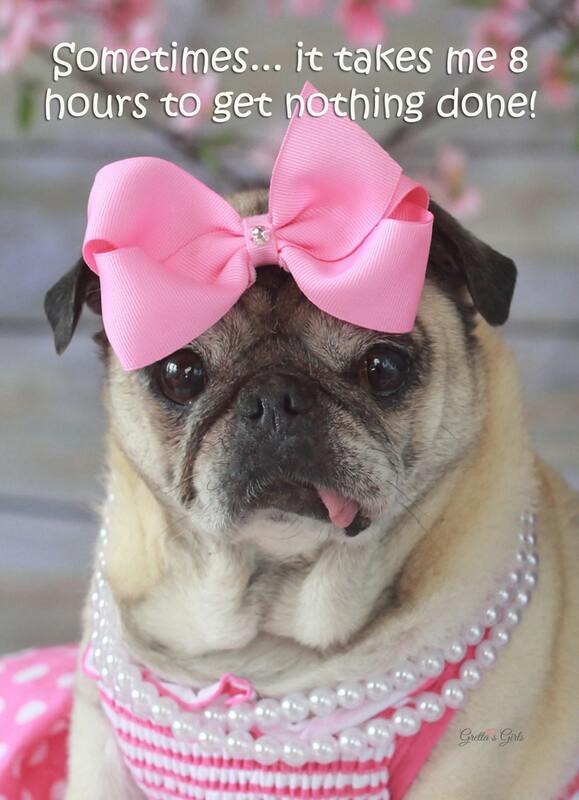 This funny birthday card for her features one sweet pug. This birthday card is sure to bring light hearted giggles to friend's special day! 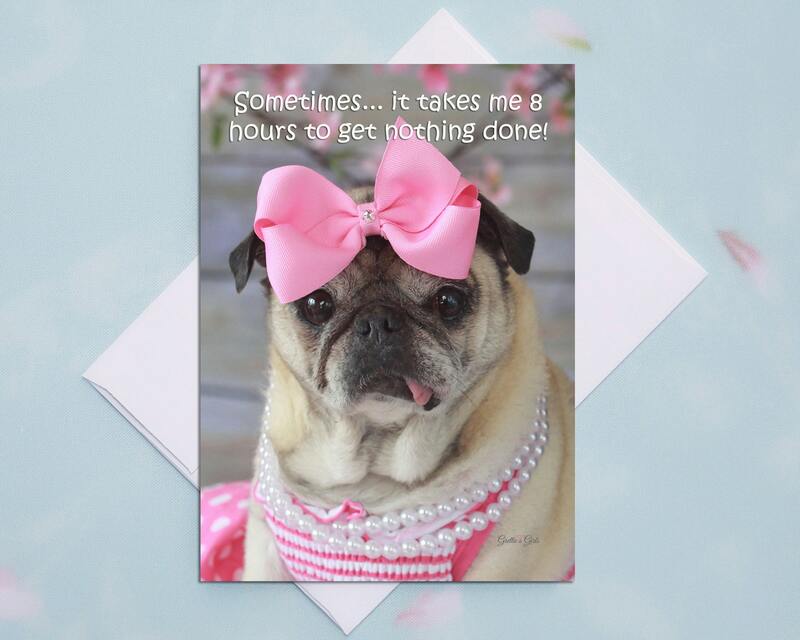 This item is one, "Sometimes It Takes Me Eight Hours," funny birthday card by Pugs and Kisses and Gretta's Girls. "Sometimes... it takes me 8 hours to get nothing done." 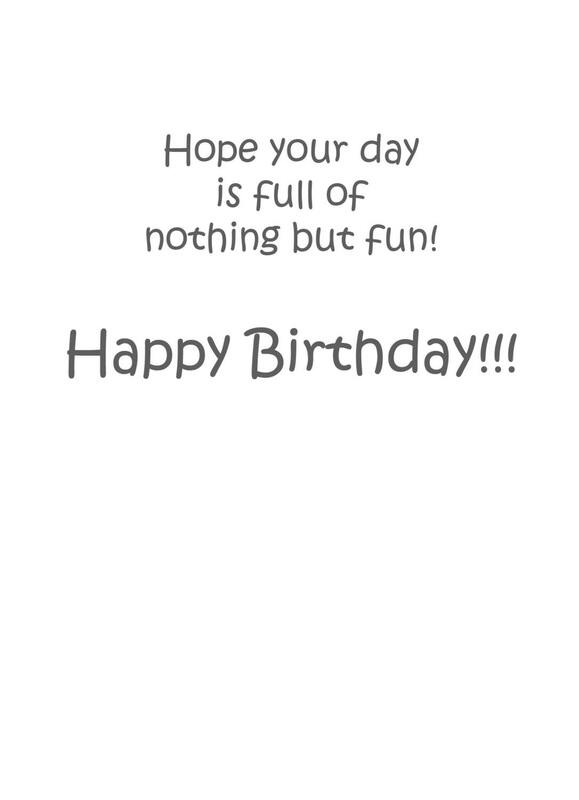 "Hope your day is full of nothing but fun! This lighthearted card is sure to bring giggles to your friend on her special day.